Eight-year-old Maggie Murphy loves mysteries. When she discovers her grandfather's special aging machine, Maggie realizes she has the ultimate disguise-she can solve mysteries as a grown-up! Unfortunately, Maggie's not the only one who's learned her grandfather's secret. 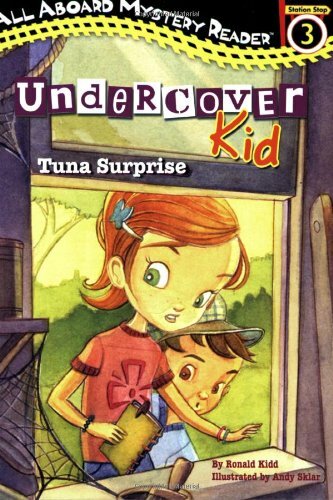 Now she must work with her younger brother Arthur to solve the case of the missing tuna- quickly, before time runs out and the Undercover Kids are uncovered again!